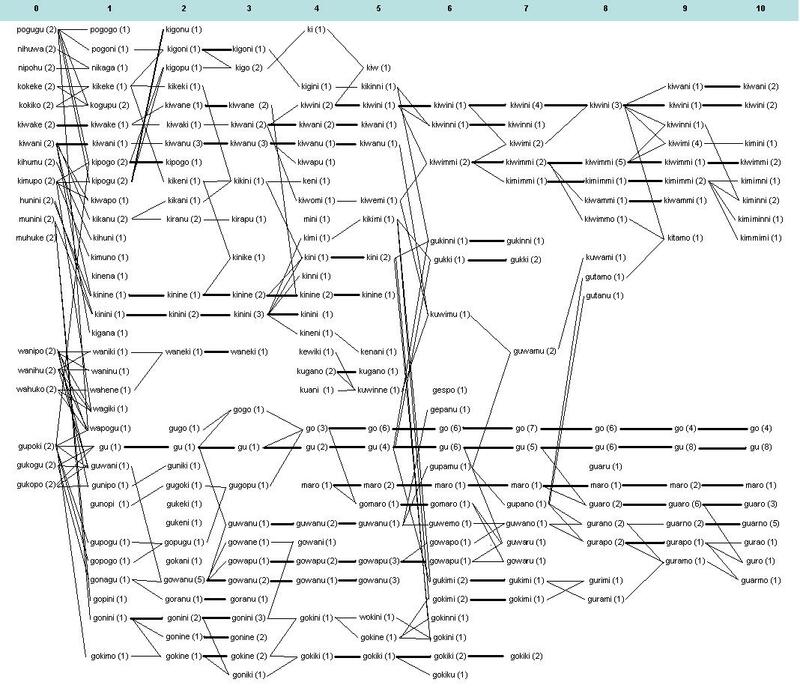 Coalescent tree showing signal lineages for all 36 items over generations of polyadic condition. Notice that the tree is for whole signals instead of sub-segments, given that both languages produced in these conditions are not decomposable. Columns correspond to generations; thin lines show possible relationships between signal elements; and, thick lines indicate a perfect replication of the whole signal. Numbers shown in brackets correspond to frequency information (the number of times that signal was produced at a specific generation). Notice how the number distinct strings decreases across generations, with both chains converging upon increasingly similar strings/signals.